Six employees recently attended an in-house training course delivered by Heidenhain. 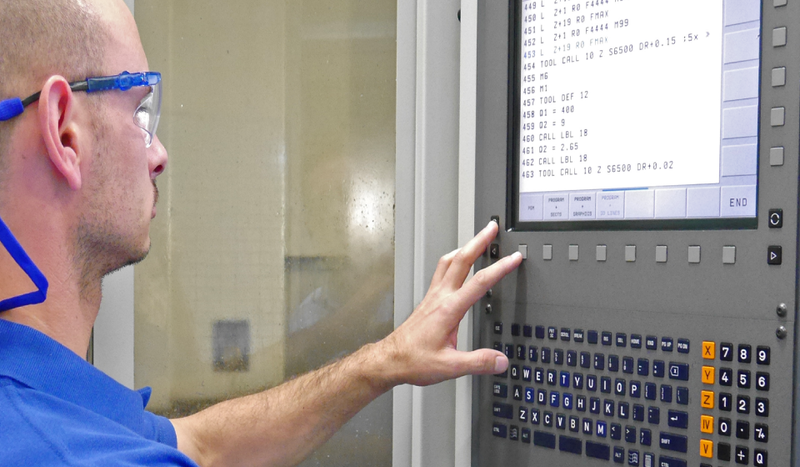 The course is designed to increase employee knowledge of Heidenhain software (the predominant programming platform for our Bridgeport 3, 4 and 5 axis Vertical Machining Centres). The three day course enabled interactive learning, and practical on the job training to further develop the skill sets required to meet the ever increasing complexity of machining with multiple axis machinery. Alessandro, Rob, Godfrey, Scott, Prem, and Kevin all enjoyed the course and found the content and delivery most beneficial. The company is committed to training and development of all of its employees, and promotes continuous employee development. Apart from the obvious benefit of operating with a highly skilled workforce, training and development brings a motivated workforce, promotes good working relations, encourages reward and recognition, and employee retention. Drurys recognises employees as its greatest asset!